Hi There! Kim here with a quick card to share with you today. I hope you all had a wonderful Christmas with your family and friends. 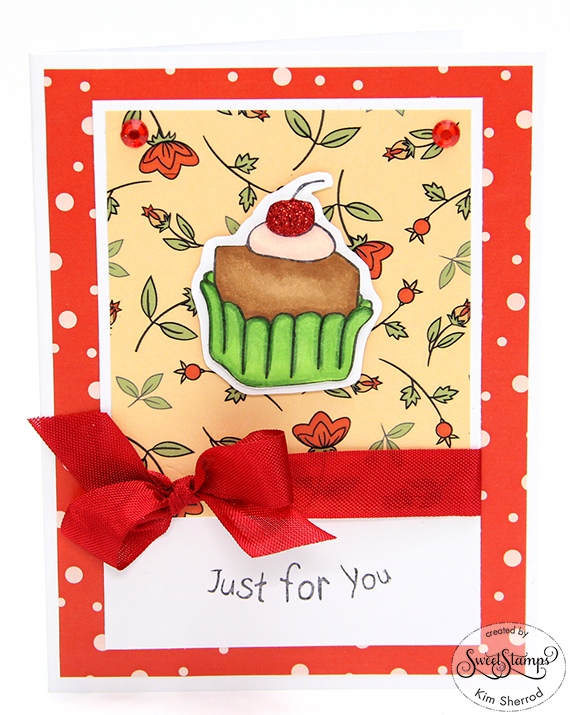 I am using the image from the Kitty Sweets set and the sentiment is from Banner Girl & Words. I stamped the treat image in using Memento Tuxedo Black ink and colored in using Copic markers. I then added red microfine glitter to the cherry. So cute, love the layout and the sparkle on the cherry.